St. Louis may be known as the biggest small town in America, but take our word for it, there’s a lot of ground to cover and plenty of attractions to see! 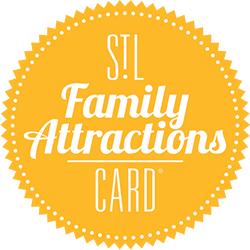 Whether you’re rolling in from out of town or are nestled in a neighborhood nearby, take advantage of the Family Attractions Card’s NEW Lyft discount! Lyft is our preferred ride-sharing app that allows you to get to your destination quickly and safely without the hassle of driving or parking! – Rides on tap: With 95% coverage across the US, you can be on your way in just a few minutes. – Budget-friendly: Whether you need a luxury ride or one to carry the whole family, easily compare ride types, pricing, and ETAs right up front. – Safety first: Lyft drivers undergo two types of background checks and give over 1 million rides every single day — that’s why the average Lyft ride is rated 4.8 out of 5 stars. 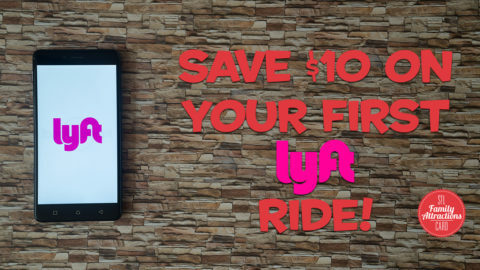 Use promo code STLFAC and you’ll save $10 on your first Lyft ride! Download the Lyft app today!